Catholic News World : Hauntingly Beautiful - Just before the Fire - Last Hymn Sung in Notre Dame Cathedral, Paris - "Stabat Mater"
Lord, have mercy on us and the whole world. Thank you for the opportunity to 'be there' for the last Mass before the fire. While I prefer the TLM, this was very beautiful...so reverent! Choir - Magnificent! Happy to see the priests accommodating those who knelt to receive our Lord. The only negative comment I have is about the N.O. altar. While I know it suffices, it really doesn't fit, aesthetically speaking. Maybe that will be realized before the 'next' Mass. 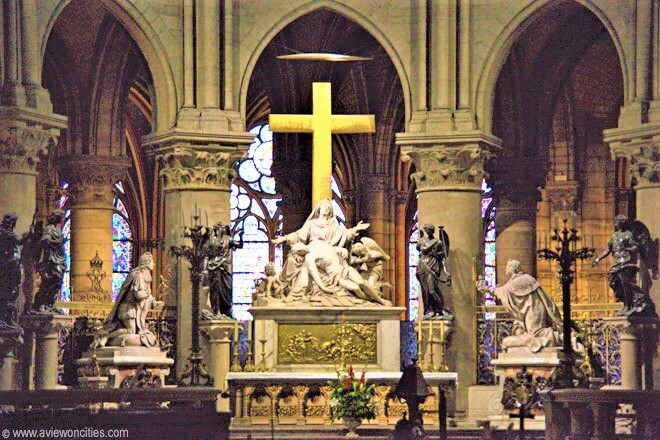 May "Notre Dame" see to it that the renovation is done faithfully! Some reported that the fire was going on while the Mass ended. Hard to believe no-one smelled anything. Still I have my doubts about the cause,875 Churches in France were violated last yr alone. May we all ask For God's Blessings during this very special time of yr.
Hi, this is beautiful. As a priest, I want to point out that this is the mass of Palm Sunday. The red vestments are the giveaway. If it was mass on Monday of Holy Week, the vestments would have been purple. Peace.